Tom Taylor has been appointed as Chief Executive of the Agriculture and Horticulture Development Board (AHDB) and will start with the levy board early in the new financial year. 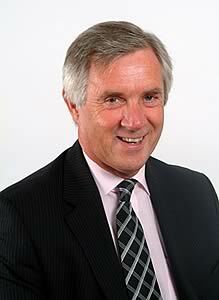 Tom is currently the Chief Executive at The Shrewsbury and Telford Hospital NHS Trust. He is a qualified accountant and a Fellow of the Chartered Institute of Management and has a wealth of senior management and corporate governance experience across both public and private sectors (Full biographical details are in the notes to editors below). AHDB Chairman John Bridge said: “The Board and I are delighted we have someone of Tom’s calibre joining us. We’re coming out of a period of massive change as we build a new more efficient structure to address our levy-payers needs - his leadership skills and management experience will be critical in successfully completing this process. Kevin Roberts, who has been chief executive since AHDB became operational in April 2008, leaves to become Director General of the NFU in April 2010. John Bridge said: ”The Board and I are very grateful for the tremendous job Kevin has done in setting up AHDB and bringing it to this point. We wish him well in his new role”. Richard Lowe, a senior director at AHDB, has agreed to extend his notice period and be Interim Chief Executive during the period until Tom takes up office, before leaving as planned.